Keeping your HVAC system efficient is the key to giving it a long lifespan, less repairs, and better performance. And most of all, it gives you extra money that you don’t have to put toward the energy bill! Air conditioners and furnaces operate differently, so you can expect them to come with their own methods for maintaining efficiency. But this time, we want to go over efficiency tips that apply to both systems. No matter if you’re using an air conditioner, furnace, or even a heat pump, you’ll be able to get some wisdom-nuggets out of the following tips. You’ve spent enough money this holiday season. Why spend any more on your energy bills than you have to? You’re happy to have friends and family near for the holidays, but this can mean a bigger bill at the end of the month after all that cooking, air conditioning and heating, and holiday lighting. We want to help you keep these costs under control. 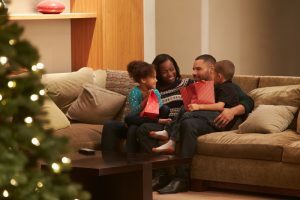 Follow these tips to save energy over the holidays, without sacrificing any of the joy and cheer. FPL Rebates No Longer Available! Due to changes in the federal manufacturing standards for residential air conditioning systems, Florida Power and Light will be changing their utility rebate programs. Effective January 2015 the current utility rebates for air conditioning systems will be drastically cut (by 65%) and may be completely gone in the near future. NOW is the TIME ….if your current air conditioning equipment is more than 8 years old or in need of major repairs, now is the time to take advantage of the REBATES before they are gone. For more information, please call our offices at 786-735-9271 and we will be glad to discuss these changes. Posted in Energy Savings, FPL Rebates, News & PR, Uncategorized | Comments Off on FPL Rebates No Longer Available! *Air On Demand no longer offers duct sealing or repair services. Please visit our ductwork service page to learn more about our ductwork options. Most home owners hardly ever think about the ducts in their home unless there is an issue. However, leaky ducts themselves are a huge problem in many homes and many homeowners are not aware of the potential danger and financial loss caused by this. John Lippert, a specialist in energy efficiency and renewable energy, wrote this great article about the threat of leaky ducts for the U.S. Department of Energy website. Air On Demand offers ductwork installation, maintenance, repair and sealing services in the Miami area. Let us help diagnose your energy efficiency issues and make sure no hazardous backdrafts or mold growth is occurring in your home. Call Air On Demand today! Air On Demand will be exhibiting at the SoBAY Home Show. December 1st and 2nd starting at noon the home show will feature designers, manufacturers and retailers of all varieties of home products. This family friendly event features a kids area, wine tasting and live music. Air On Demand will have information about all of the latest air conditioning, heating and indoor air quality services and products. We also offer pool heater, ductwork and commercial HVAC services to residents and businesses in the Miami-Dade area. 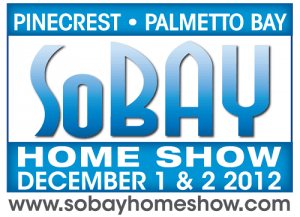 Check out our specials offers and promotions online, and visit our booth at the SoBAY home show for more opportunities to save! • Nearly 4 billion trees per year are cut down due to the paper industry. • Today, the world consumes about 300 million tons of paper each year. • The U.S., which contains only 5% of the world’s population, uses 30% of all paper. the printed material make it to the end user? The full impact is almost immeasurable. At Air On Demand, we have dedicated ourselves to finding ways to reduce those numbers and our impact on the environment. We have moved our Service Technicians from the old style “carbon service receipt” to new modern laptops. We are using laptops and wireless internet to communicate and dispatch real-time information to our Service Technicians in the field. All service receipts are completed using mobile applications, no more “old carbon” receipts. We don’t even have to print a “paper” receipt unless a customer requests it. 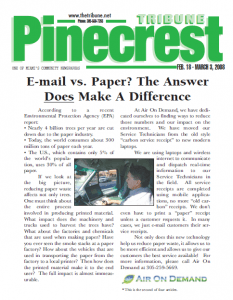 In many cases, we just e-mail customers their service receipts. Not only does this new technology help us reduce paper waste, it allows us to be more efficient and allows us to give our customers the best service available! For more information, please call Air On Demand at 305-259-5669. 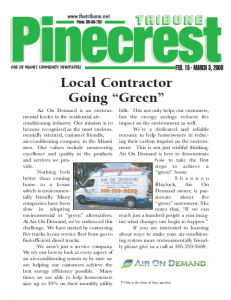 Air On Demand provides top quality air conditioning, heating, indoor air quality, ductwork, and commercial HVAC service to Miami, Pinecrest, Cutler Bay, and the surrounding areas. Is Your Miami Home Environmentally Friendly? Call Air On Demand! Air On Demand is an environmental leader in the residential air conditioning industry. Our mission is to become recognized as the most environmentally oriented, customer friendly, air-conditioning company in the Miami area. Our values include unwavering excellence and quality in the products and services we provide. Nothing feels better than coming home to a house which is environmentally friendly. Many companies have been slow in adopting environmental or “green” alternatives. At Air On Demand, we’ve embraced this challenge. We have started by converting five trucks in our service fleet from gas to fuel-efficient diesel trucks. We aren’t just a service company. We try our best to look at every aspect of an air-conditioning system to be sure we are helping our customers achieve the best energy efficiency possible. Many times we are able to help homeowners save up to 30% on their monthly utility bills. This not only helps our customers, but the energy savings reduces the impact on the environment as well. 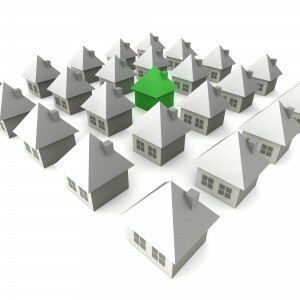 We’re a dedicated and reliable resource to help homeowners in reducing their carbon imprint on the environment. This is not just wishful thinking. Air On Demand is here to demonstrate how to take the first steps to achieve a “green” home. S h a n n o n Blaylock, Air On Demand owner, is passionate about the “green” movement. She notes that, “If we can reach just a hundred people a year imagine what changes can begin to happen.” If you are interested in learning about ways to make your air-conditioning system more environmentally friendly please give us a call at 305-259-5669. 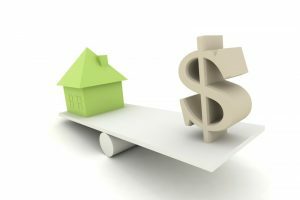 Posted in Air Conditioning, Energy Savings, Heating, Indoor Air Quality | Comments Off on Is Your Miami Home Environmentally Friendly? Call Air On Demand! As the days get hotter and hotter, you want to keep your home as cool as possible. While cranking up your Miami air conditioning system is tried and true solution, there are other ways you can keep your home cool (and help your AC work better). Improving your air conditioner’s energy efficiency is an added benefit of many of these tips. A ceiling fan can help circulate the cool, air conditioned air through your home. A ceiling fan will also make you feel colder, so you can turn your thermostat up a few degrees, saving energy. Pay attention to where you place your thermostat. If your thermostat is near a device that produces a lot of heat, like a TV or an oven, it will read the wrong temperature for the room and cause your AC to cool your home too much. A thermostat that is improperly calibrated can have the same issue. An accurate thermostat will keep your home comfortable, and it will save energy if you no longer have to constantly adjust the thermostat setting in attempt to get the right temperature. Your landscaping can also affect how well your air conditioning system works. Adding trees or shrubs will shade your air conditioner, which leads to it using less electricity. However, make sure the plants to do not restrict the air flow. Close curtains during the day to prevent added heat from entering your home. The curtains can add a layer of insulation that can keep your home cool. Annual maintenance is the best thing you can do to keep your AC cooling effectively. A technician will clean your unit and replace any worn parts, so your air conditioner will be able to keep your home cool all summer. It also improves energy efficiency, which is something that you can appreciate every month when you get your energy bills! Air conditioners cool and dehumidify your air, which can go a long way towards making your home comfortable this summer. By following these few simple steps, you can keep your home cool and save energy, which is something that everyone can appreciate. 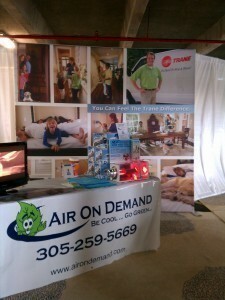 For more information about how to keep your Miami AC in peak condition this summer, give Air On Demand a call today!